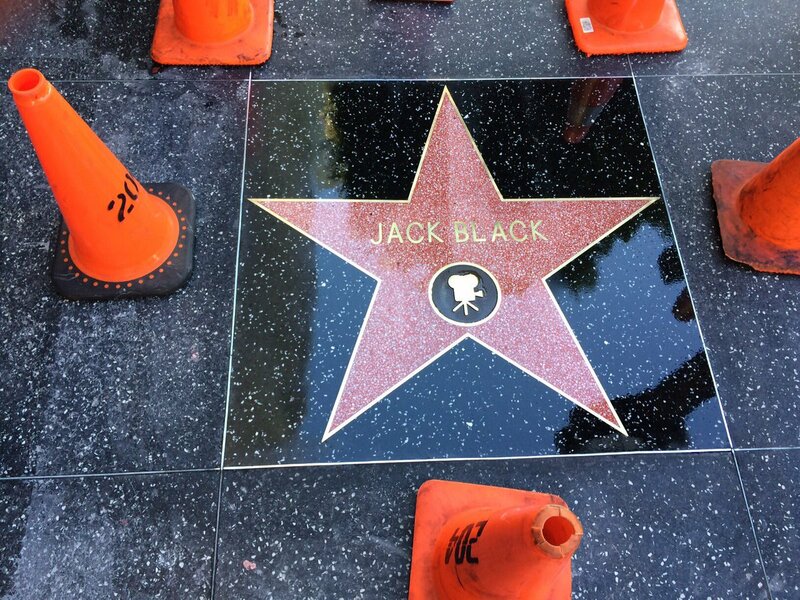 Jack Black was awarded with his own star on the Hollywood Walk of Fame on Tuesday, September 18. HOLLYWOOD HILLS—On Tuesday, September 18, actor and Golden Globe Nominee Jack Black was honored with a star on the Hollywood Walk of Fame. Black received the honor just three days before the opening of his new movie, “The House With a Clock in Its Walls.” Black co-stars in the film alongside Oscar-winner Cate Blanchett. The film is directed by Eli Roth. Black said that he was “embarrassed” and “nervous” about the ceremony, but also humbled by it. He said he dreamed about getting a star on the Walk of Fame since childhood. “If you get one of those stars on the sidewalk, that means you’ve made it and I feel like I’ve finally grasped that sweet brass ring! The question is, where do we go now?,” said Black. The actor jokingly announced his retirement, receiving some “boos” from the audience. “I got the thing! Why continue?,” Black said that he had grown out his “David Letterman beard” and joked that he’d be focusing on “diet and exercise” from now on.